It never ceases to amaze us what uses people can create for shipping containers. Take a look at this one created by Mars Climbing Gym in Bangalore India. 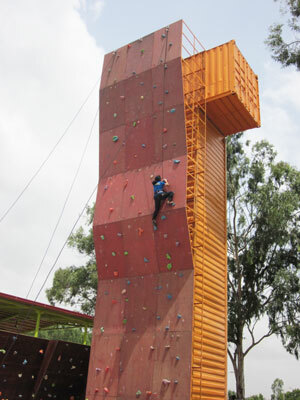 They have made an incredible artificial climbing wall out of old shipping containers. Not only does this structure provide usage on the outside bu amazingly internally they have also created a wall too!